Where can you find a bubbling geyser surrounded by prairie poppies, an active volcano adorned with bright red ohia flowers, and even the Liberty Bell covered in red, white, and blue blossoms—all under one roof? 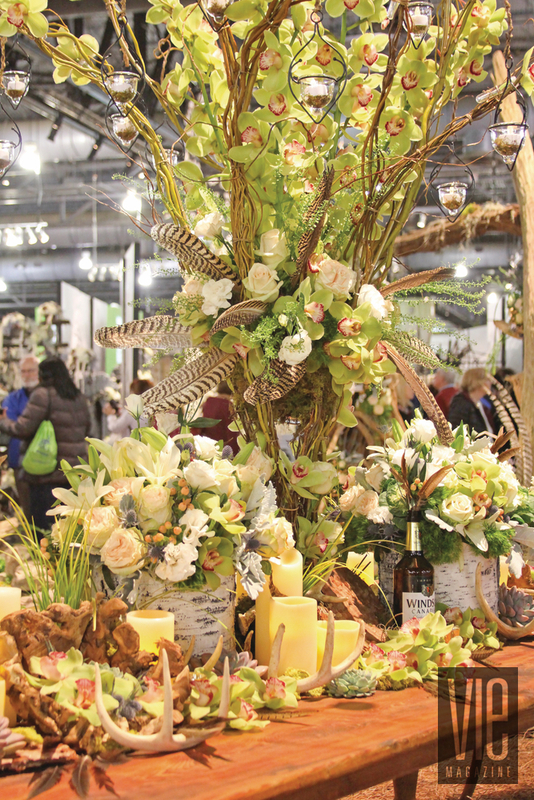 For tens of thousands of floral enthusiasts and casual beauty seekers, it was at the 2016 Philadelphia Flower Show, presented by the Pennsylvania Horticultural Society (PHS) from March 5 to 13 at the Pennsylvania Convention Center. The theme of the year was “Explore America,” and elaborate replicas of some of the country’s most treasured national parks and landmarks filled the exhibition floor in honor of the National Park Service’s centennial. 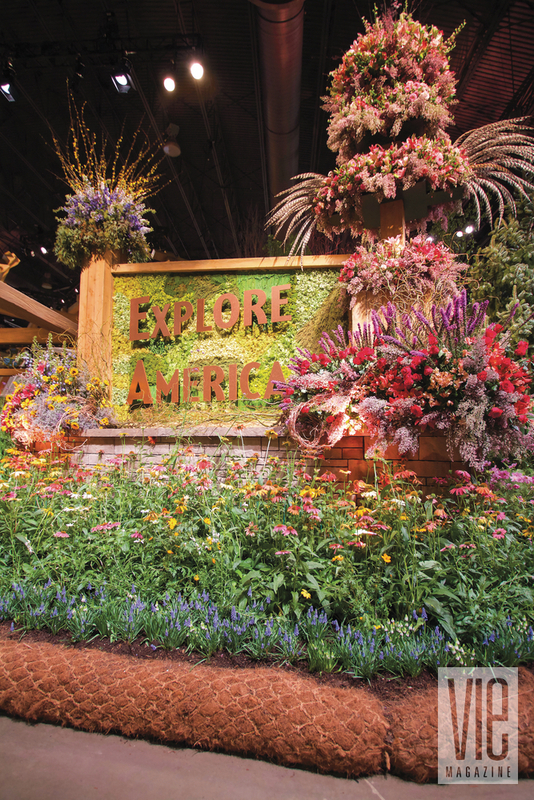 The annual spectacular of blooms typically features over forty professional landscape and floral designers, who create the largest exhibits for the show based on that year’s theme. They compete to impress the judges and take home the honor of Best in Show. Past show themes have included “Celebrate the Movies,” “Springtime in Paris,” “Moments in Time…A Galaxy of Gardens,” and many more. 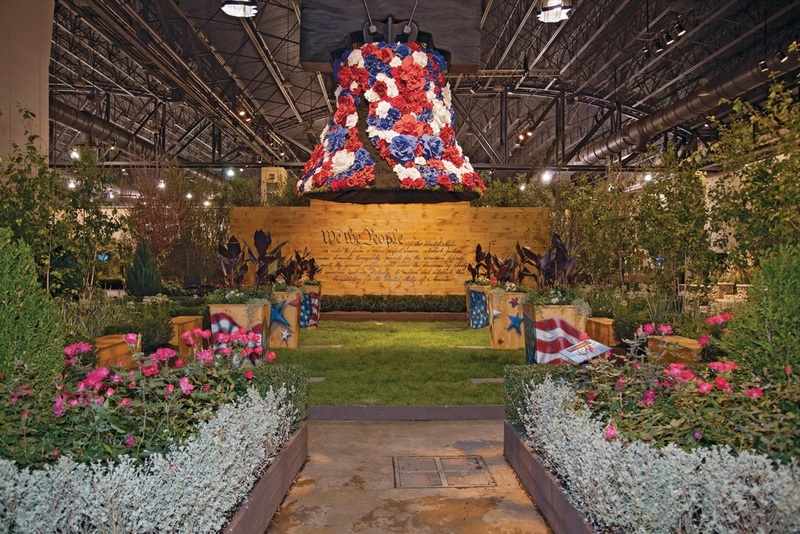 The annual spectacular of blooms typically features over forty professional landscape and floral designers, who create the largest exhibits for the show based on that year’s theme. Upon entering the exhibit hall, audience members walked through the Big Timber Lodge, a grand entrance garden that was designed by PHS and included beautiful chandeliers, a rustic compass rose, Native American–inspired art, and grizzly bear and buffalo sculptures—all dripping in blossoms and greenery, of course. Other crowd favorites included the Yellowstone National Park exhibit created by Stoney Bank Nurseries, the Redwood National and State Parks exhibit by the American Institute of Floral Designers, and presentations from National Park Service rangers in the Find Your Park Pavilion. The PHS Philadelphia Flower Show, which started in 1829, is the nation’s largest and longest-running horticultural event, taking pride in introducing the newest plant varieties, garden and design concepts, and organic and sustainable practices—a mission that the NPS admires and shares. “The National Park Service and PHS share a commitment to introducing new generations to the beauty of nature, to be good stewards of our environment, to honor the contributions of individuals to our history, and to build vibrant communities,” said Cynthia MacLeod, superintendent of Independence National Historical Park in Philadelphia. 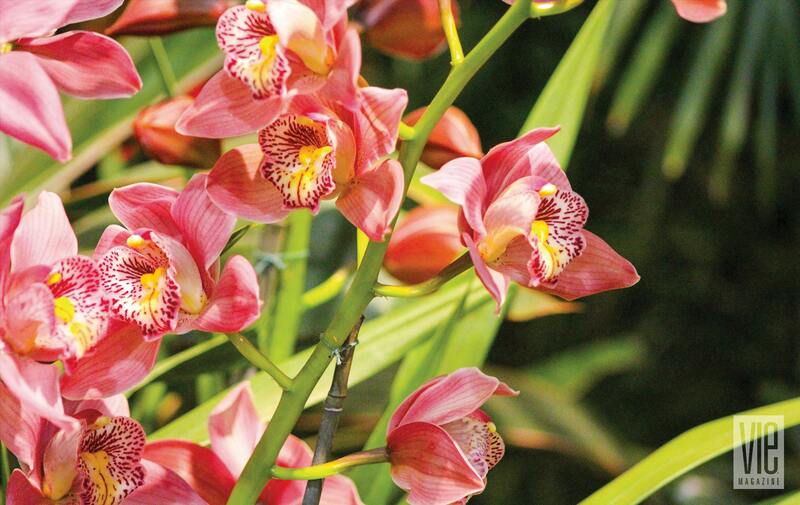 In addition to the major garden displays, the Philadelphia Flower Show hosts world-renowned competitions in horticulture and artistic floral arranging, gardening presentations and demonstrations, and special events. It has a huge indoor marketplace with over 190 vendors and the Bloom Philly Festival, a citywide celebration. Special events included the Cabin Fever Country Hoedown with country music and dancing on opening day, March 5; Wedding Wednesday, a fabulous bridal expo on March 9; Flowers After Hours, an evening of music and delicious sips on March 10; Fido Friday, an invitation to flower-loving canines and their human companions on March 11; and the Flower Show Jamboree on March 13, featuring activities for families including the Teddy Bear Tea, Junior Ranger Day, and special appearances. Elaborate replicas of some of the country’s most treasured national parks and landmarks filled the exhibition floor in honor of the National Park Service’s centennial. Promising another splendid year of education and beautiful blossoms, the PHS will present “Holland, Flowering the World” from March 11 to 19, 2017. Learn more and purchase your tickets for the show at www.PHSonline.org.